Please join us to celebrate and amplify this important work. The evening will be fun, provocative, and further the cause of great reporting. Bring your family, friends and allies. Presented by the Center for the Study of Jewish-Christian-Muslim Relations at Merrimack College, and the Religion News Foundation. Made possible by the William and Mary Greve Foundation. Here are the 2019 Goldziher Prize winners. The purpose of the Goldziher Prize is to recognize journalists who counter narratives full of fear and hateful rhetoric with insightful reporting about Muslim Americans and the communities in which they live. Ignac Goldziher (1850-1921) was a well-respected Hungarian Jewish scholar of Islamic jurisprudence. He is credited as one of the founders of Islamic Studies in Western and Central European universities, where Jews were just able to enter and where the study of Islam in European departments of religion was previously treated as a heresy. In the 1870’s, Goldziher toured Constantinople, Beirut, Damascus, Jerusalem and Cairo, where he became a student at Al-Azhar, the largest university in the Arab/Muslim world. There he prayed in a mosque and wrote in his diary, “In the midst of thousands of the pious, I rubbed my forehead against the floor… never in my life was I more devout … than on that Friday.” Goldziher believed Islam represented a pure monotheism and provided a touchstone for judging other monotheistic religions. Past Goldziher Prizes were awarded to scholars and activists working in the arena of interfaith relations, honoring Prof. Mark Cohen (2010), Rabbi Burton Visotzky (2012), Prof. Josef Meri (2014), Mr. Daoud Abudiab and Mr. Bernhard Werthan (2016). The 2017 Goldziher Prize for Journalists marked a new emphasis, which will continue when the prize is awarded again in 2019. 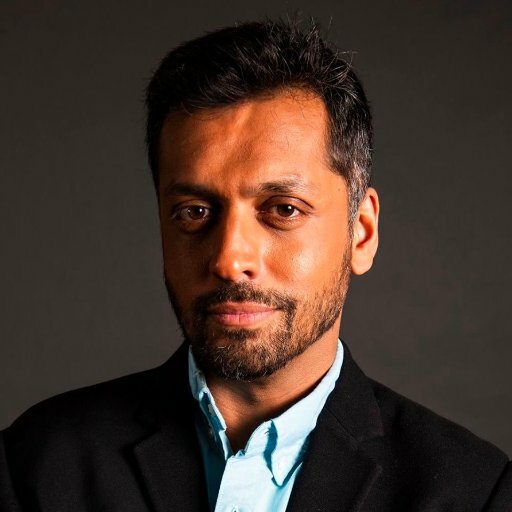 Wajahat Ali, Goldziher Prize Chair for 2019, is a journalist, writer, lawyer, an award-winning playwright, TV host, consultant for the U.S. State Department. Previously, Ali helped launch the Al Jazeera America network as co-host of Al Jazeera America's The Stream, a daily news show that extended the conversation to social media and beyond. He was also a National Correspondent, Political Reporter, and Social Media Expert for Al Jazeera America. He focused on stories of communities and individuals often under-reported in mainstream media. Ali is the author of The Domestic Crusaders—the first major play about Muslim Americans, post-9/11—which was published by McSweeney's and performed off-Broadway and at the Kennedy Center. With Dave Eggers, Ali is writing a television show about a Muslim American cop in the Bay Area. He was also the lead author and researcher of Fear Inc., Roots of the Islamophobia Network in America, the seminal report from the Center for American Progress. Ali worked with the U.S. Department of State to design and implement “Generation Change” leadership program to empower young social entrepreneurs. He initiated chapters in eight countries, including Pakistan and Singapore. The Muslim Public Affairs Council honored him as a “Generation Change Leader” and as an “Emerging Muslim American Artist.” Ali has given presentations, from Google to the United Nations to Princeton to The Abu Dhabi Book Festival. His writing has appeared in The New York Times, The Atlantic, The Washington Post, The Guardian, and Salon. Ari Goldman is a professor at the Columbia University Graduate School of Journalism where he directs the Scripps Howard Program in Religion, Journalism and the Spiritual Life. He is a former reporter for the New York Times. Goldman teaches a variety of courses, including the popular Covering Religion seminar that has taken students on study tours of Israel, Ireland, Italy, India and Russia. Goldman is the author of four books, including the best-selling memoir The Search for God at Harvard and, most recently, The Late Starters Orchestra. Goldman was educated at Yeshiva University, Columbia and Harvard. 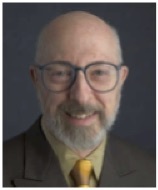 He has been a Fulbright Professor in Israel, a Skirball Fellow at Oxford University in England and a scholar-in-residence at Stern College for Women, Yeshiva University. Aysha Khan is a Boston-based journalist covering American Muslims. Her reporting has appeared in the Religion News Service, where she works as the social media editor, as well as the Washington Post, USA Today, NBC News, ThinkProgress, VICE News, Sojourners and other national news outlets. Previously, she has worked with the American Journalism Review, the Journalism Center on Children and Families and The Tempest. She also produces the newsletter Creeping Sharia, focused on elevating high-quality, nuanced journalism about Muslim communities in the U.S.
Charles J. Sykes is one of the most influential conservatives in Wisconsin. Until he stepped down in December after 23 years, Sykes was one of the state’s top-rated talk show hosts. He is currently an MSNBC contributor. Sykes is also author of eight books, including A Nation of Victims, Dumbing Down Our Kids, Profscam, The Hollow Men, The End of Privacy, 50 Rules Kids Won't Learn in School, A Nation of Moochers, and Fail U. The False Promise of Higher Education; and How the Right Lost Its Mind. He was co-editor of the National Review College Guide. 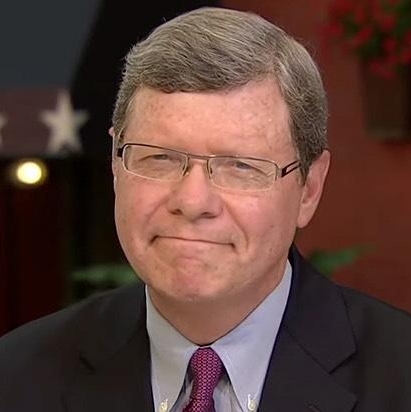 Sykes has written for The New York Times, The Wall Street Journal, Politico, Salon, USA Today, National Review, The Weekly Standard and other national publications. He has appeared on the Today Show, ABC, NBC, Fox News, CNN, PBS, the BBC, and has been profiled on NPR. He has also spoken extensively on university campuses. Diane Winston holds the Knight Chair in Media and Religion at USC Annenberg School for Communication and Journalism, and teaches on the faculties of Journalism, Communication and Religion. Her courses examine religion as it relates to journalism, visual media, American history and foreign policy. Her research interests include religion, politics and the news media; media coverage of changing Christianities, and religion and the entertainment media. She is the publisher of Religion Dispatches, an award-winning daily online magazine of religion, politics and culture. Between 1983 and 1995, Winston covered religion at the Raleigh News and Observer, the Dallas Times Herald and the Baltimore Sun and contributed to the Dallas Morning News. She has won numerous press association awards and was nominated for a Pulitzer Prize for her work in Raleigh, Dallas and Baltimore. Her articles have appeared in The New York Times, The Washington Post, The Wall Street Journal, The Los Angeles Times, and The Chronicle of Higher Education. Winston has a Ph.D. in Religion from Princeton University; a Master’s degrees from Harvard Divinity School and Columbia University Graduate School of Journalism and B.A. from Brandeis University. Diana Eck is Professor of Comparative Religion and Indian Studies; Fredric Wertham Professor of Law and Psychiatry in Society in the Faculty of Arts and Sciences; and Member of the Faculty of Divinity at Harvard University. Eck’s work in the U.S. focuses especially on the challenges of religious pluralism in a multireligious society. Since 1991, she has headed the Harvard Pluralism Project, which explores and interprets religious dimensions of America's new immigration; the growth of Hindu, Buddhist, Sikh, Jain, and Zoroastrian communities in the United States; and the new issues of religious pluralism and American civil society. The Pluralism Project's award-winning On Common Ground: World Religions in America, was published in 1997; her book A New Religious America: How a "Christian Country" Has Become the World's Most Religiously Diverse Nation was published in 2001. Her book Encountering God: A Spiritual Journey From Bozeman to Banaras is in the area of Christian theology and interfaith dialogue. It won the Grawemeyer Book Award in 1995, and a 10th-anniversary edition was published in 2003. Farhan Latif is President of the El-Hibri Foundation, providing strategic leadership. He previously served as the Chief Operating Officer & Director of Policy Impact at the Institute for Social Policy and Understanding (ISPU). During his time at ISPU, Latif worked with White House, Department of State, and Department of Homeland Security officials on a range of domestic and foreign policy issues. Prior to ISPU, he spent over a decade in higher education working at the intersection of building a culture of philanthropy and enabling access for underrepresented, low income, and first generation students. As a social entrepreneur, he founded Strategic Inspirations, a social impact-consulting firm focused on strengthening the ability of nonprofit organizations to build capacity, create a culture of learning, catalyze innovation through philanthropy, and maximize impact. As an interfaith leader, Latif worked with state and national faith-based organizations to promote religious understanding and inclusion. He holds an M.A. from Harvard University and a degree in Business Management and Marketing with graduate work in nonprofit management at the University of Michigan-Dearborn. Anisa Mehdi is Executive Director of The Abraham Path Initiative and is a documentary filmmaker, journalist and adjunct professor at Seton Hall University. She has won two Emmy Awards, a Cine Golden Eagle, and numerous awards from the Society of Professional Journalists. Mehdi is the first American to cover the Hajj pilgrimage on location in Saudi Arabia. She produced and directed National Geographic's acclaimed Inside Mecca and directed The Hajj for PBS's "Sacred Journeys with Bruce Feiler." Her coverage of local, national and global affairs has appeared on CBS, PBS, and ABC's Nightline. An expert on the convergence of religion and the arts, Mehdi is a consultant for the Association of Performing Arts Presenters (APAP) and the Doris Duke Foundation for Islamic Art. She serves on the board of the Esalen Institute. She was a 2009-2010 Fulbright Scholar in Jordan. Mehdi is writing a memoir about life with her father, Dr. Mohammad T. Mehdi, an Iraqi-American expert on Palestine. She has written columns for NPR and the intelligence company Stratfor.com. Mehdi has a Master's degree in Journalism from the Columbia University Graduate School of Journalism and a Certificate in Jewish-Christian Studies from Seton Hall University. She is an alumna of Wellesley College. Peter F. Steinfels is an author, journalist and educator best known for his writings on religious topics. A native of Chicago, Illinois, and a lifelong Roman Catholic, Steinfels earned his Ph.D. from Columbia University and joined the staff of the journal Commonweal in 1964. He served as a visiting professor at Notre Dame in 1994-95 and then as visiting professor at Georgetown University from 1997 to 2001. From 1990 to 2010, he wrote a column called Beliefs for the religion section of the New York Times. He has also been a professor at Fordham University and co-director of the Fordham Center on Religion and Culture. Steinfels has written several books, including The Neoconservatives: The Men Who Are Changing America's Politics and A People Adrift: The Crisis of the Roman Catholic Church in America. Joseph T. Kelley is Director of the Center for the Study of Jewish-Christian-Muslim Relations at Merrimack College and Professor of Religious and Theological Studies. He holds a Ph.D. in Religious Studies from Boson University and a D. Min. in Clinical Pastoral Psychology from the Andover-Newton Theological School. Kelley is a clinical psychologist, musician and the author of five books. He is a contributing editor for the New Catholic Encyclopedia (Second Edition), and has authored scholarly articles in the areas of pastoral psychology, ritual studies, and Augustinian Studies. He has lectured widely in the United States, Australia, the UK and the EU. He serves as a board member of the Augustinian Heritage Institute in Villanova, Pennsylvania. Tamar Miller, Project Lead for the 2019 Goldziher Prize for Journalists, is a consultant to social benefit programs, foundations, institutions of higher learning and religious institutions currently specializing in strategy, design, and facilitation. Her practice has ranged from working with the Center for Contemplative Mind in Society, introducing Harvard and MIT faculty to meditation as a pedagogic practice; to crafting a parliamentary campaign in Kuwait; to strategic evaluations for the Fetzer Institute’s science and spirituality unit. Miller was VP Education and one of three founders of American Higher Education, Inc. based in Cambridge, MA., and was Partner in Middle East Holdings, a business development firm in Boston and Dubai. Miller is former Director of Leadership Development and Executive Director of the Institute for Social and Economic Policy in the Middle East at Harvard's Kennedy School. She is active on the board of directors of the Parents’ Circle for Bereaved Families, and the Israel Palestine Center for Creative Regional Initiatives. Miller was on the founding board of the Alliance for Middle East Peace and is advisor to TRACK TWO: An Institute for Citizen Diplomacy. Miller holds a B.A. in Philosophy and Judaic Studies, Master of Social Work from Yeshiva University, and a Master of Public Administration from Harvard University. Evelyn Messinger is the producer for the 2019 Goldziher Prize for Journalists. Messinger is a television and web producer and a pioneer of online citizen engagement. She was the series producer of Global Pulse, a Webby Award-winning international news feature for the national satellite television channel Link TV; the Director of the News Literacy website Know the News; the founding director of the Soros Foundation’s electronic media program; and co-founder and former executive director of Internews Network, an international NGO that supports media development worldwide. Messinger has worked as a producer and video editor for CNN and CBS News, and as a documentary and feature producer for programs that have appeared on the BBC, PBS, ARTE and others. She is the founder of Internews Interactive, a media engagement non-profit that connects Americans to their leaders, each other, and the world. Learn more about applying for the Goldziher Prize.